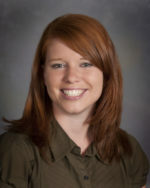 Ms. Oatman earned her Master of Science degree in Physician Assistant Studies as well as her Bachelor of Science degree in medical studies at DeSales University, in Center Valley, PA.
Ms. Gurko earned her Master of Science in Nursing degree in Pediatric Primary Care, and her Bachelor of Science in Nursing with a minor in Human Biology, both at Gwynedd Mercy University. She also received an Associates of Science in Nursing at Gwynedd Mercy University. Registered Pediatric Nurse Practitioner, Registered Nurse, CPR Certified. Business Name: Allison Hickman, D.O. Ms. Hickman’s internship and residency were completed at Penn State Children’s Hospital/M.S. Hershey Medical Center in Hershey, PA. She earned her Doctor of Osteopathic Medicine degree at the Philadelphia College of Osteopathic Medicine in Philadelphia, PA. and Bachelor of Science degrees in both mathematics and biology at Elizabethtown College, in Elizabethtown PA.
Mr. Ducey earned his Master of Science in Nursing degree at the University of Toledo Medical Center and his Bachelor of Science degree in nursing at Bowling Green State University. Mrs. Wallace earned her Master of Science in Nursing degree in Pediatric Acute/Chronic Care at the University of Pennsylvania and her Bachelor of Science in Nursing at York College of Pennsylvania. Certifications- Registered Pediatric Nurse Practitioner, Registered Nurse, CPR Certified, Pediatric Advanced Life Support Certified. Business Name: Arnauld Oreste, M.D. Dr. Oreste completed his pediatric residency at Brookdale University Hospital and Medical Centre, in Brooklyn New York, and his medical degree at Universite D’ Etat d’Haiti, in Port au Prince, Haiti. In addition to English, Dr. Oreste speaks both French and Creole. 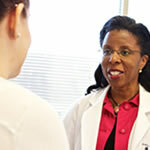 Ms. Curtis earned her Doctor of Nursing Practice at Chatham University, her Post Master’s Certificate as a Pediatric Nurse Practitioner at West Virginia University, a Master’s of Science in Nursing Administration and Research at Indiana University of Pennsylvania, and her Bachelor’s in Nursing at Waynesburg University. Ms Curtis has also earned a Bachelors’ of Science in speech and language therapy/education at Indiana University of Pennsylvania. Registered Pediatric Nurse Practitioner, Registered Nurse, CPR Certified, Pediatric Advanced Life Support Certified, La Leche League Leader Certification, International Board of Lactation Consultant Examiners Certification IBCLC. Business Name: Blachek, Julie P.A.-C.
Ms. Blachek earned her Master of Science degree in Physician Assistant Studies at King’s College in Wilkes-Barre, PA. She earned her Bachelor of Science degree at East Stroudsburg University in East Stroudsburg, PA.
Business Name: Colli, Michael J. M.D. Dr. Colli’s internship and residency was completed at the pediatrics department of the Children’s Hospital Medical Center in Cincinnati in 2001. He earned his M.D. at the University of Rochester School of Medicine in Rochester, NY, and his B.A. at Johns Hopkins University in Baltimore. Business Name: Galicia, Karen M.D. Dr. Galicia completed her Residency in Pediatrics at Morristown Memorial Hospital in Morristown, NJ. She earned her medical degree from the University of the City of Manila in Manila, Philippines. She completed her Bachelor of Science degree at the University of the Philippines in Quezon City, Philippines.